We're NOT fooling! 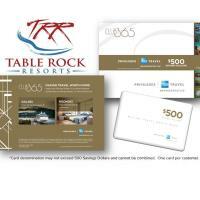 Book 2 nights at Table Rock Resorts in the month of April and get a $500 Club 365 American Express Privileges Savings Dollar Card! Call 417-739-3777 or book online at indianpoint.com!